The biggest development in education in Western Massachusetts this year is aimed at the tiniest learners – children from birth to 5 years old. 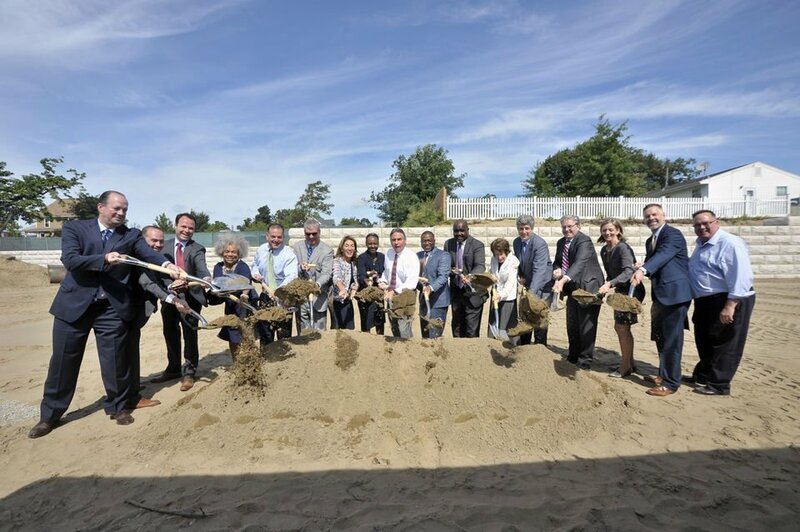 Educare Springfield – a $14 million, nationally recognized early childhood center under construction in the Old Hill neighborhood, one of the poorest in the city – will open this fall, serving 141 children and their families who will be selected from the region’s Head Start program. The Davis Foundation, an early childhood education advocate, is the lead partner in pushing for the new center, which will be one of 25 Educare centers operating in 15 states – plus one in Washington, D.C. and another in the Winnebago nation – supported by the Buffett Early Childhood Fund. EduCare Springfield – rising on Hickory Street adjacent to the Elias Brookings School on land donated by Springfield College – was financed with a $9 million contribution from an anonymous out-of-state donor. Holyoke, Chicopee, Springfield HeadStart, a federally funded program, will operate the new center. The anonymous donation – which John Davis says made him believe in miracles – paved the way for Springfield to land the program that has been a model for best practices in early childhood development. The Davis Foundation has made advocacy for quality early childhood education its mission in its quest to help insure that city children are ready to read by 4th grade. Currently, only 33 percent of city children read at grade level by 4th grade, compared to peers in suburban schools, Davis said at a recent educational summit in Springfield sponsored by the Urban League. “Urban kids can perform at high levels, but we need to do a lot for work to get them there. And, we can do it,” Davis said. Santos, who has spent her 45-year career in early childhood education, says the EduCare model recognizes that the ages from birth to 5 years old are the most critical to a child’s development and that early educators need to be well-trained and well-compensated. The new center also recognizes that parent involvement is “the backbone for success,” Santos adds. When Susie Buffett, daughter of billionaire philanthropist Warren Buffett, created the first EduCare center in 2000, there was no vision for a national network to provide a higher- level education for infants, toddlers and preschoolers, according to Michael Burke, the Chicago-based vice president of the Buffett Early Childhood Foundation. The 27,000-square-foot, state-of-the-art EduCare Springfield facility is being designed – like others in the network – to be a model for the high-impact educational practices aimed at preparing children for long-term academic success. The goals of those practices are to improve kindergarten readiness; promote higher vocabulary skills; enrich social emotional skills; improve behavior’ reduce high school drop-out rates and promote long- term career and college success. EduCare will be a lab school, of sorts, sharing its resources with other early childhood educators about the best methods to help children become successful learners. There are four components to the continuous-improvement EduCare model, Burke explained: the use of data to inform instruction; ongoing coaching of teachers, support for families whose children attend EduCare and a series of professional development training sessions for teachers and staff. When visiting Springfield, Burke said he was impressed with the local collaboration and commitment to early childhood education. “We’re glad to be operating in Springfield, rather than Boston,” he said. In the next few weeks and months, EduCare will be building a website and writing a job descriptions for an executive director with a master’s degree, who will be an EduCare employee, and a school director with a master’s degree, who will be a HeadStart employee. In addition to the benefits EduCare will bring to children and families in need, it will also have a huge positive economic impact on the region and the neighborhood where it is located. The EduCare site is located in the Old Hill neighborhood that was severely impacted by the June 1, 2011 tornado. Investments in the neighborhood after the tornado included the construction of a $28 million dollar Brookings School, nearby parks and street improvements.